Soon after my wife and I moved to Southern California, I ended up subscribing to Netflix since monthly fees for cable or satellite were too expensive for us. One of the first TV series I rented (after The Greatest American Hero) was “The Wire.” I had heard all about it, the rave reviews and the critical acclaim. It soon became, and remains still my favorite show of all time. One of the things that hooked me right from the beginning, was seeing he familiar landmarks of the city we had recently left behind. I was immensely homesick that first year in California but of all things, seeing Wee-Bay and D’Angelo in front of a New York Fried Chicken place really gave me some comfort. Amazingly, there are quite a few sites specifically addressing “The Wire” and it’s food with this one from First We Feast being my favorite. 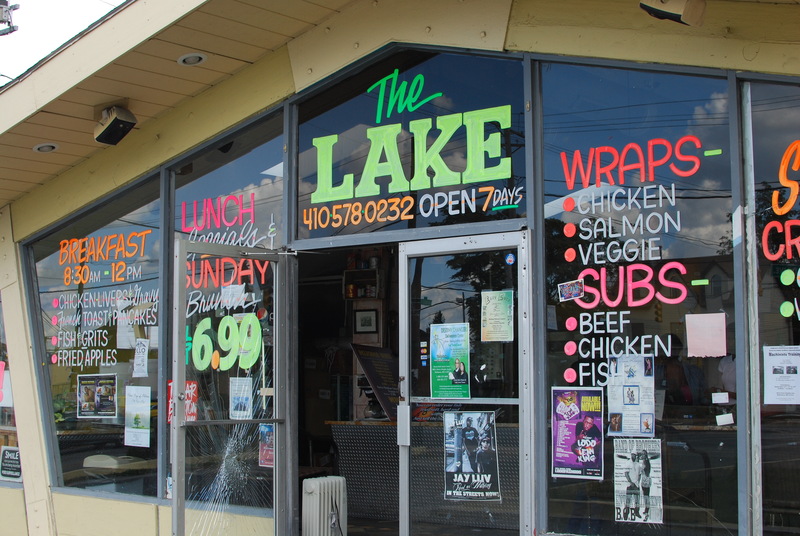 One of the Baltimore foods that “The Wire” did highlight quite a bit was Lake Trout. Earlier this year, my wife and I actually cooked up some trout after we mistook it for salmon and it was pretty good. But Lake Trout isn’t trout, nor is it from a lake. Lake Trout is fried Atlantic Whiting, served plain, with or on white bread and usually with some combination of hot sauce, Old Bay, fries and either soda or Half and Half (Iced Tea and Lemonade, called an Arnold Palmer everywhere else). 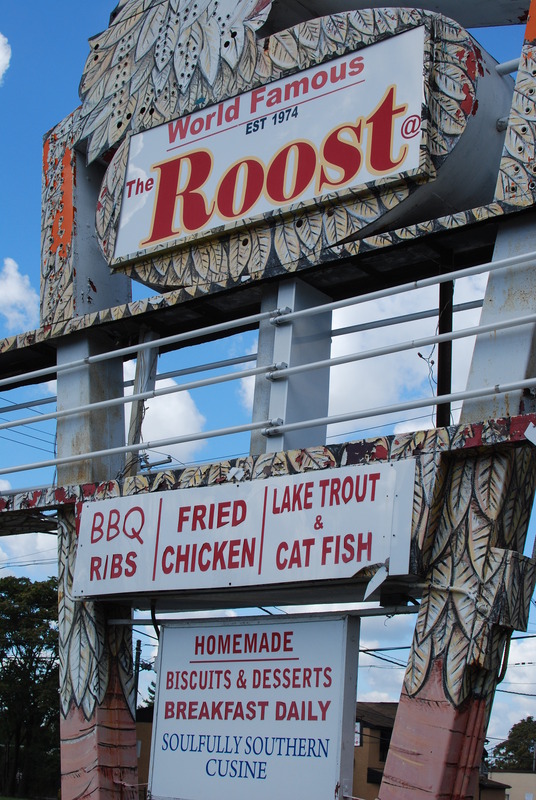 Now opinions vary wildly as to where the best Lake Trout is, but one of the longest standing and well known places is The Roost off of Reisterstown Road. The day I went there, I read on Yelp that it was going to be closing the next day so of course my little partner and I went down there to sample their infamous fare. And although I didn’t ask, business looked as usual and a new girl was being trained on the register so I’m assuming the Yelp posting was in error. 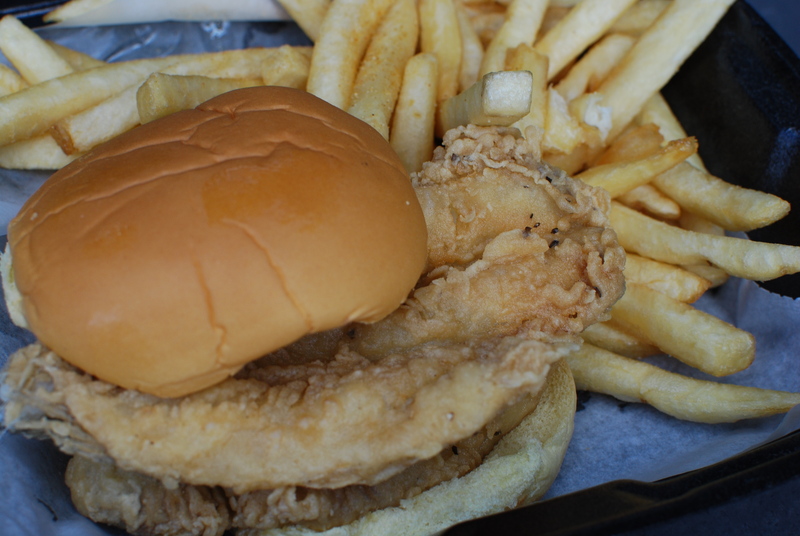 The Lake Trout sandwich was great, lightly fried but not overly salty or oily. The fish was white and flakey, fried fresh while I waited so it was hot and crispy. The fries were OK, but actually the wings that I ordered with it were excellent. The Roost embodies everything I love about our regional foods. Great quality, delicious food served fresh by small businesses that truly rely on the support of their communities. It was actually one of the sandwiches suggested by Zagat recently, in their 50 States, 50 Sandwiches guide, and is definitely well earned.